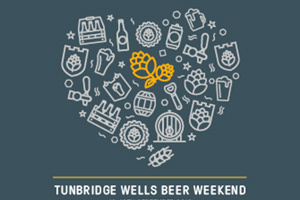 Sankey's is taking art in the inaugrial Tunbridge Wells Beer Weekend. Here are some highlights! Home Brewing Class – hosted by Andy Parker, award winning homebrew champion & owner of Elusive Brewery. Get some pro brewing tips, and check out Andy’s new homebrew book as well!